Rewind to a few weeks before Christmas and you will hear my brother explaining why we need to go vegan. He’s really into documentaries, and he just so happened to binge-watch a bunch of health food documentaries. Fast forward until a few weeks after Christmas, and the vegan phase is over. However, I still had fun learning how to bake vegan desserts, like the vegan banana bread recipe I posted a few weeks ago. Today I’m going to introduce you to the apple muffins I made while looking for a yummy vegan recipe for breakfast. 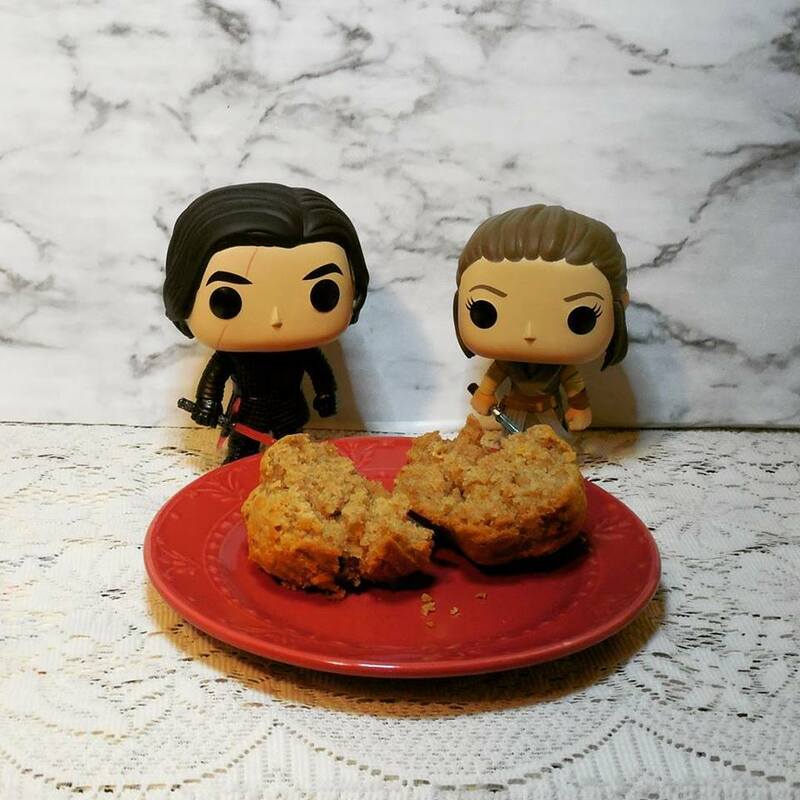 In case you missed it, I’ve started an Instagram series called #bakingwithkylorey. In short, I use my imagination to create scenarios for how Rey and Kylo pass the time when not being the Supreme Leader or the Last Jedi. Those scenarios all include baking lessons. You can follow along with the adventures by following me on Instagram (molly.becca119) or following the hashtag #bakingwithkylorey. 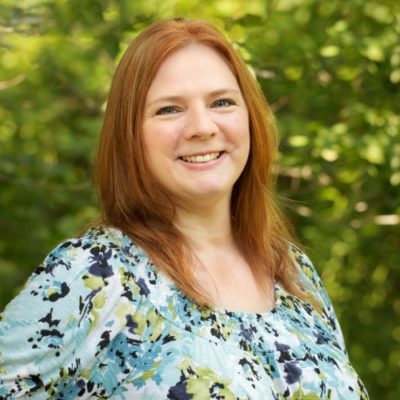 Stop by the blog to find the recipes featured in the posts. In addition to my brother’s vegan phase, another reason why I like to bake vegan recipes is because one of my friend’s daughters is allergic to dairy and eggs (and also tomatoes, but those don’t often show up in recipes). We were doing a kind of breakfast potluck one Saturday, so I brought along these vegan apple muffins. 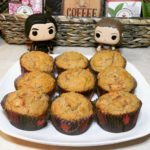 Plus, I can never get over the weird pleasure I get when I say, “They’re vegan.” Whether you’re looking for a vegan recipe because of health reasons, ethical reasons, or just because, these apple muffins are sure to please! First you’ll need to prepare your apples. I diced up three small-ish apples, then sauteed them in a pan with 1 tablespoon of brown sugar and one teaspoon of cinnamon. Kylo: we’re experimenting today. Rey: sounds fun. Let me guess. No cookies? Next, I prepared the batter by stirring together 1 cup of all purpose flour, 1/4 cup of whole wheat flour, 1/2 cup of oats (I used old fashioned), 1/2 cup brown sugar, 1/2 teaspoon salt, 1/2 teaspoon baking soda, and 2 teaspoons baking powder. To this dry mixture I added 1/3 cup coconut oil, 1/2 cup applesauce, and 1/3 cup of almond/coconut milk blend. I folded in the apples, added the batter to the prepared muffin cups, and baked at 375 degrees for about 18 minutes. Rey: well they look good. Kylo: yes but looks can be deceiving. Rey: trust me, I know. These apple muffins were a hit with my friends at our breakfast potluck. My family willingly gobbled up the rest that I brought home. They are great warm (of course!) but this is also a great recipe that you can make ahead (I made them a day ahead). Rey: good news, Ben, the experiment worked! 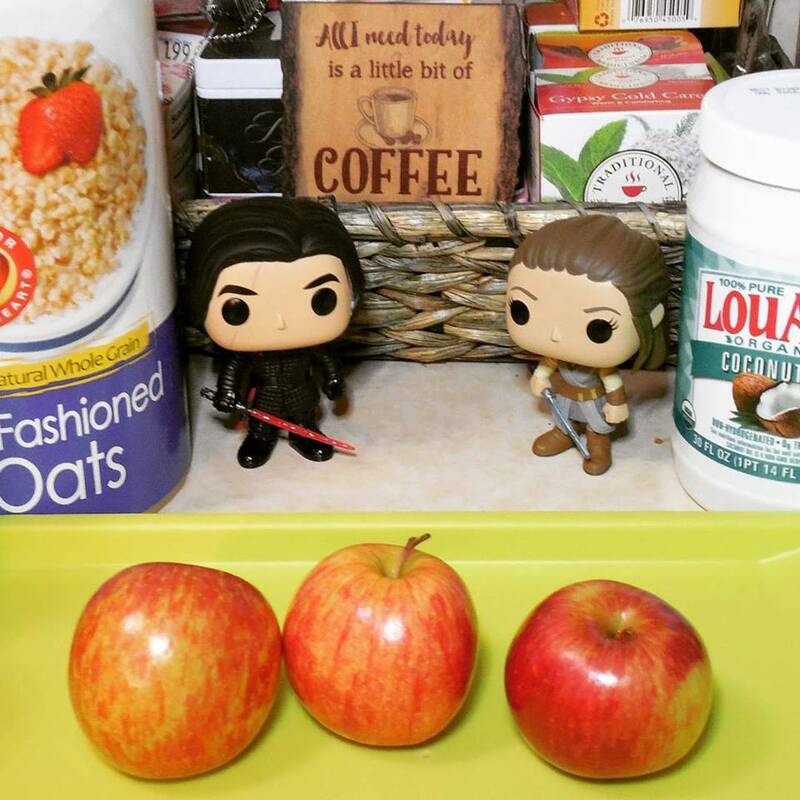 Don’t forget to follow along with Kylo and Rey’s baking adventures by following me on Instagram (molly.becca119), OR to visit the blog to find the recipes they use. You'll impress your friends with these vegan apple muffins! They're so moist and delicious! Preheat oven to 375ºF and prepare your muffin pans by greasing the liners. Saute the apples, brown sugar and cinnamon for about 5 minutes over medium heat, until the apples begin to soften and caramelize. Remove from heat and set aside. Combine the flours, oats, brown sugar, salt, baking powder, and baking soda in a mixing bowl, then add the applesauce, oil, and milk. Stir until moist, then fold in the chopped apple. Fill muffin cups 3/4 full. Bake for about 18 minutes, or until a toothpick comes out clean. It is and it’s delicious! This sounds better than my regular muffins so I’ll try this for my next batch. Thanks for sharing. I’m a vegetarian and have been trying to go vegan by reducing my dairy intake and these sound yummy! Love the addition of Kylo and Rey! I love this recipe, because one of my favorite snacks is a muffin and my husband and I love apples!!! I will try this one!! These look and sound delicious. That would be great but the fact they are that AND healthy is awesome. I need to remember these especially come Autumn because I crave apple and or pumpkin everything all of every Fall. I should try this recipe. Looks delicious! I’ve never baked with coconut milk before. These look really good! I will have to try them out, I don’t do much baking during the summer months but Fall is perfect for baking and apple picking so definitely pinning for later! I am not vegan but I have friends who are and this gives me something lovely to bake for them. Thank you! That sounds like a tasty recipe for vegan muffins. I am used to using eggs in my baking but I would like to try making these for my vegan friends. These looks so good! I would have to cook 4 or 5 apples, have to have some to snack on. I think I will try these not vegan but I like trying new things. That is so cool about the coconut oil!